Popular in Spain a thick omelette with potatoes and onions. 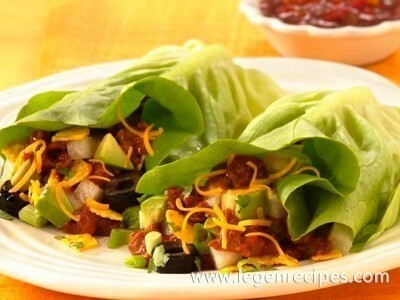 Tasty, nutritious and budget dish. Peel the potato and cut thin slices. 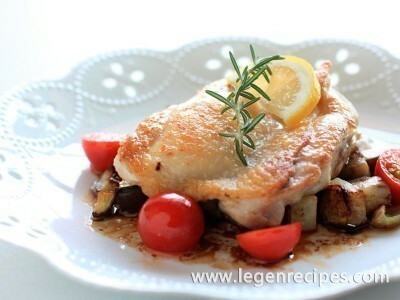 Preheat the pan on medium heat, add a little vegetable oil, put the prepared potatoes. 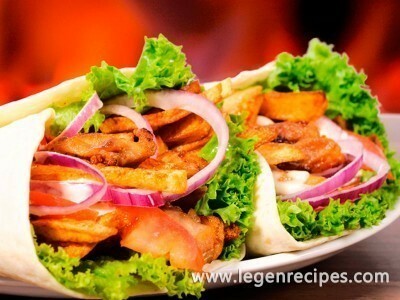 Fry with regular stirring on low heat under a lid for 10-15 minutes. Potatoes during this time should be fairly soft but should not brown. Then add to the pan, cut into thin onion rings. Again cover with a lid and continue to fry for another 4-5 minutes until the onions soften, after salt and mix well. Vzbey eggs, mix them with potatoes and onions. On a clean heated pan pour vegetable oil and put the egg-potato mixture. Constantly stirred while the contents of the pan begin to set. Cover the pan with a lid and roast on medium heat for five minutes, the bottom surface of the omelette should be well browned. Then turn the tortilla. Again cover with a lid and roast for about five minutes, and the second side is well brown. 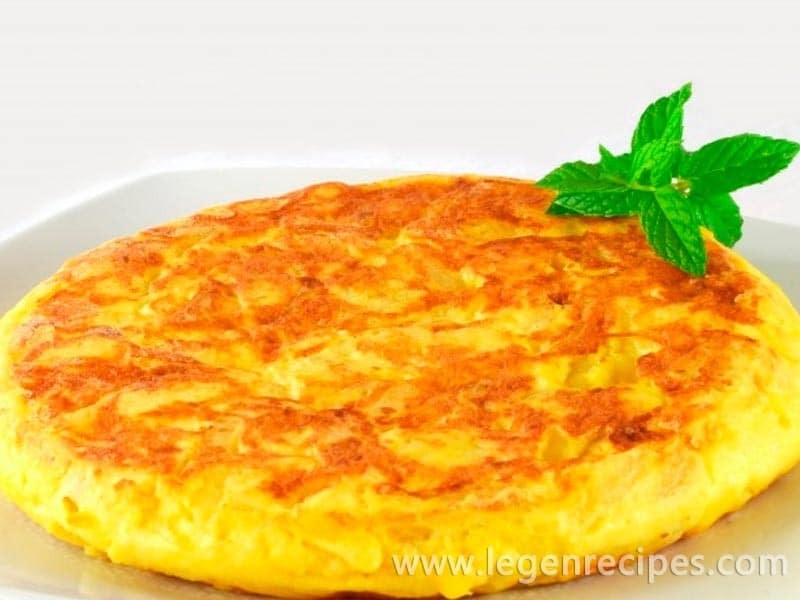 Serve Spanish tortilla can be hot immediately after cooking or cooled as a snack.